When Coco was on the way, I had no shortage of projects to direct my massive amounts of nesting energy into. We had just moved into this apartment and all of our time and energy was going into building IKEA furniture. At least 20 pieces, including our PAX wardrobe system. Not for the faint of heart, people! ;) But for the mama in an already settled situation, this e-course from Red Velvet would be perfect. And for a mama who has everything ready and an overdue baby, it would be even better. I can't think of a sweeter way to spend those final days waiting to see that little face, kiss that tiny head and marvel at those tiny ears, than making sweet baby bibs and burp cloths by hand. My nesting was less about cutesy baby stuff and more about the power drill. 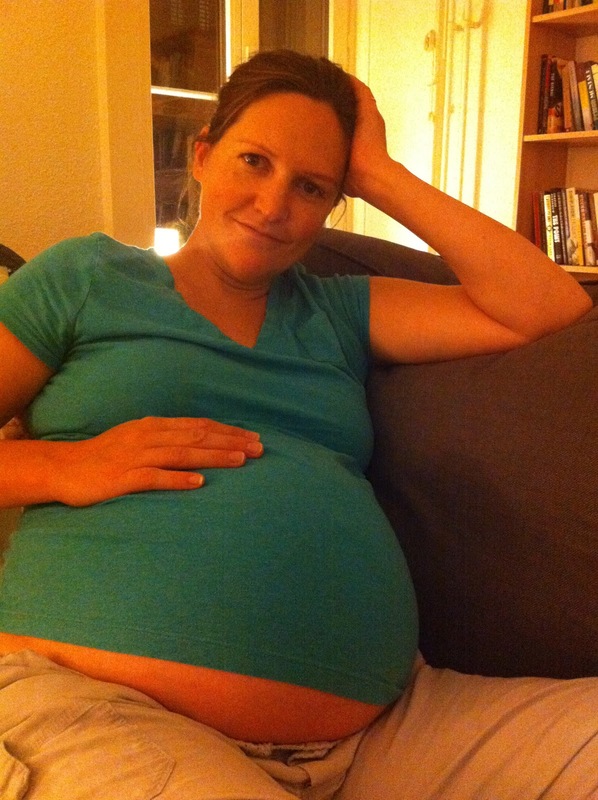 Here I am 8 months pregnant building some IKEA furniture. It's kind of nuts looking back, but also seems serene and easy compared to how it would be to do all that now with a toddler! 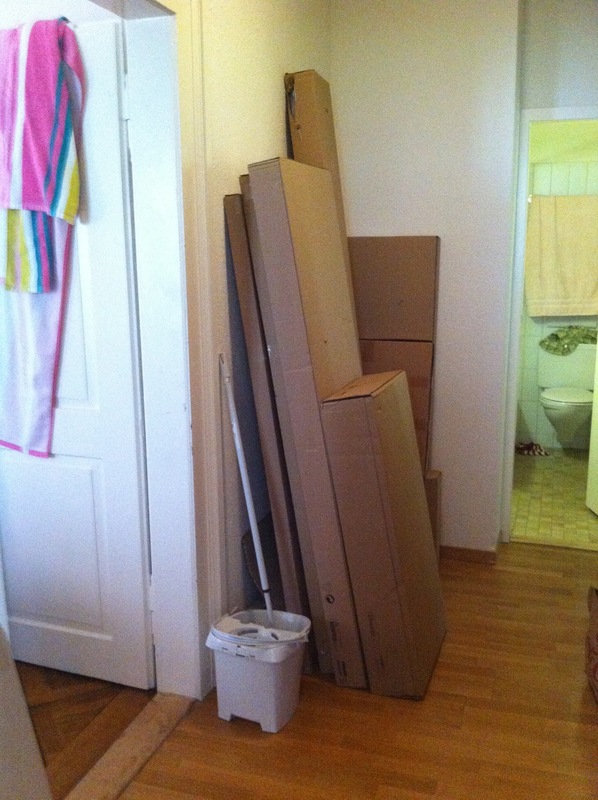 Our whole apartment was filled with these familiar IKEA boxes. Nesting energy is no joke. None of it phased me in the least. I was so happy to be creating a home for our little family. Once I had finished the apartment, I didn't stop there. I moved on to the cellar and built all of those storage shelves and meticulously organized our belongings on them. A word to the wise: Harness the nesting energy, pregnant ladies! Once the baby arrives, you're in a completely different mode all together. All naps and no storage shelf building. Really. Then there was the recycling. In Zurich, recycling has to be tied in bundles. 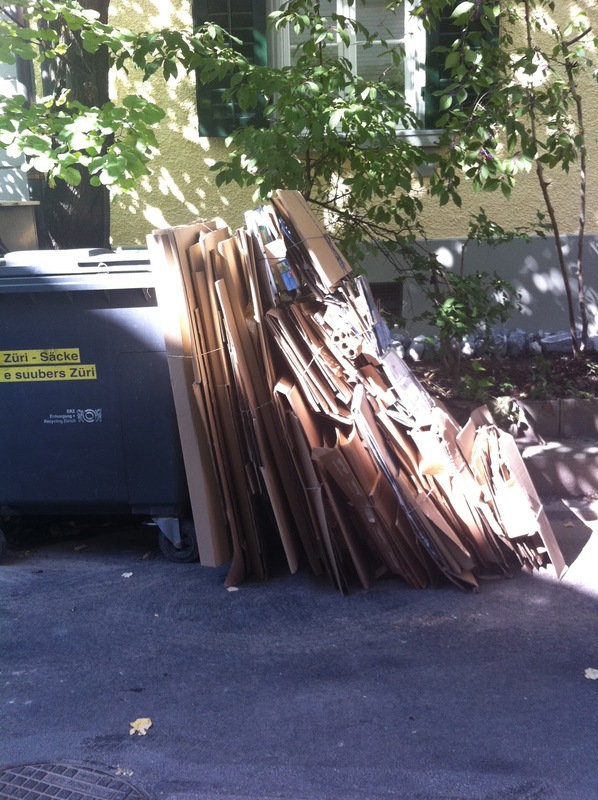 That's most of our IKEA recycling right there, all neatly tied in descending sized bundles. I still can't believe how insanely I nested. I was truly a busy bee. With a power drill. Finally, here I am on my due date, relaxing on the couch and watching a movie with J, ready and waiting for the baby to arrive. Luckily I got a little rest because Coco didn't come for another 5 days. I didn't mind that she was late, because at that point, I needed a little rest! 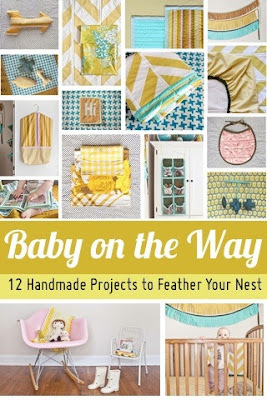 Did you go crazy nesting for your baby? Will you?